Do you want to know the similarities and organoleptic differences between your product and the competition? Do you know the key attributes of your product? Do you know the attributes that characterize your competitors? Sensory Evaluation is the analysis of the organoleptic properties of a product, when perceived by the sense organs. Sensory Analysis is carried out by our sensory panel of experts selected and trained to describe and quantify objectively the organoleptic characteristics of products. 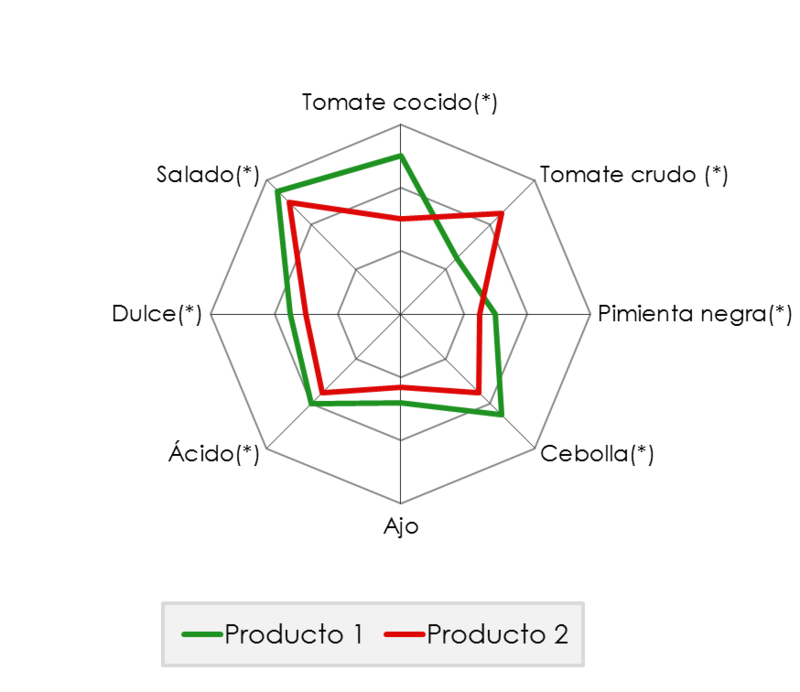 Sensory Analysis is a key tool to obtain a high quality product with sensory characteristics optimized to the maximum. We provide your company with different type of tests to be performed according to your objectives and needs. Discriminative tests are those that aim to determine whether there are differences at an organoleptic level between two or more products. Which are the key sensory attributes of your product? 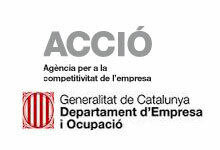 Are you trying to reduce costs and do not know to what extent quality will be affected? 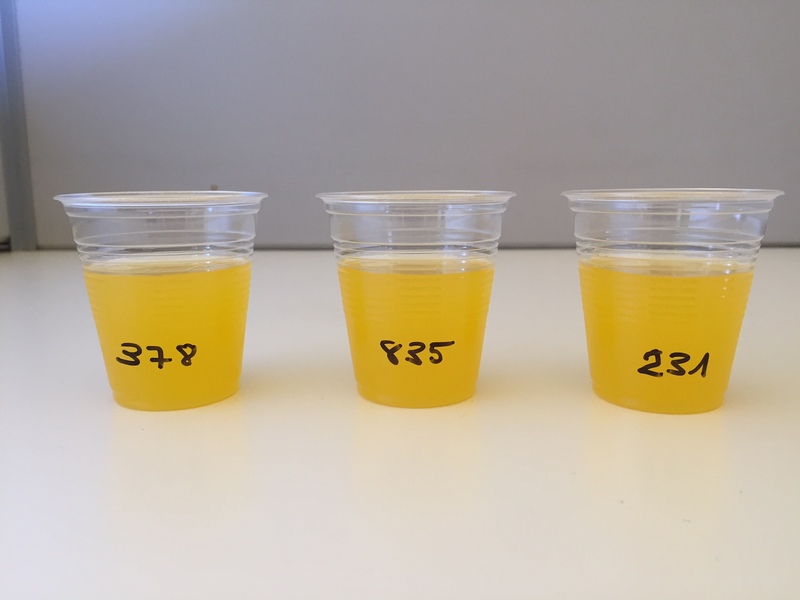 Do you know the organoleptic variability of your product? Do you need to know the organoleptic similarities and differences between your product and your competitors? Our Sensory Panel of Experts is trained according to the American Spectrum Descriptive Analysis methodology (SDA). SDA provides detailed quantitative data and precisely defined terms for the description of the sensory fingerprint of each product. Sensory profiles generated will allow us to compare the product attribute by attribute, as well as in a global basis. Our experience enhances us to draw conclusions and make recommendations for the next phases of your company project. Discriminative tests are used to determine whether there is a sensory difference between 2 or more products. Have you made a change of ingredients or process in your product? Do you need to know if the changes in your product are noticeable? The application of those tests is tailor-made to the customer needs. They can be performed with experts as well as with consumers. In Global Sensory we’re well aware the global consumers’ market is increasingly competitive. Efficiency of investments carried out by enterprises is often influenced by the knowledge of the customers’ needs and satisfaction as well as by the rapid adaptation to changing markets ahead of competitors. Consumers are increasingly demanding and want products to give credibility to the promises offered by brands. Products with outstanding sensory benefits are being every time more consumed and demanded by clients. In Global Sensory we know that differentiation is the key to have faithful consumers to one specific product. Therefore, we offer our customers with the Seal of Sensory Excellence, as the product has been evaluated by our Panel of Experts.